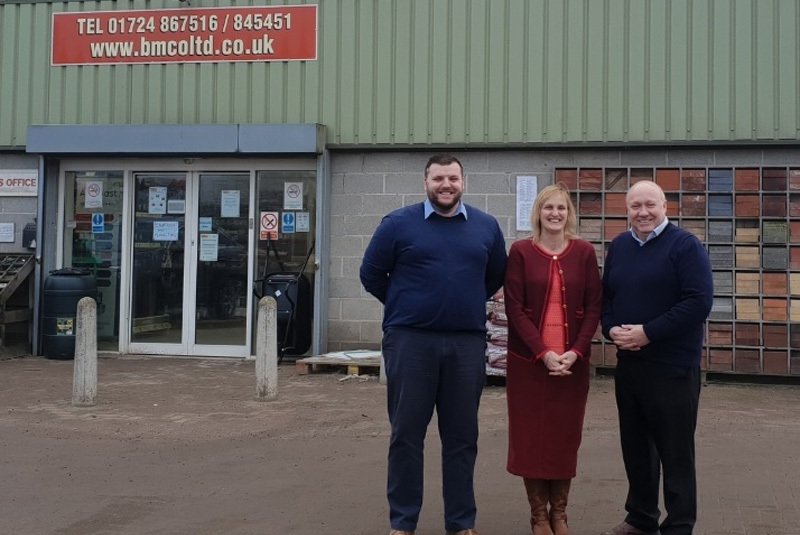 Builders’ Merchant Company (BMCo) has announced that it will be opening a branch in Goole, with expansion plans set to be completed by May. This will be BMCo’s third branch opening and will help support the ongoing development and growth plans for the company. The Goole branch follows on from the opening of the Hull and Rotherham branches, and will consist of a purpose built 23,000sqft warehouse, with separate showroom, trade counter and office facilities. As with other existing branches, it will offer a full range of civils, drainage, timber, insulation and heavy side building materials. Duncan Thomson, Managing Director, commented: “We are all extremely excited to announce the plans for the opening of our fourth branch. As a company we are focused on managed growth, and this addition supports that focus. The branch will initially have a staff of eight, with future opportunities for apprentices and graduates to join our internal development scheme. BMCo has recently become a member of the NBG, which the company said has provided it with considerable confidence to move forward with its growth plans.